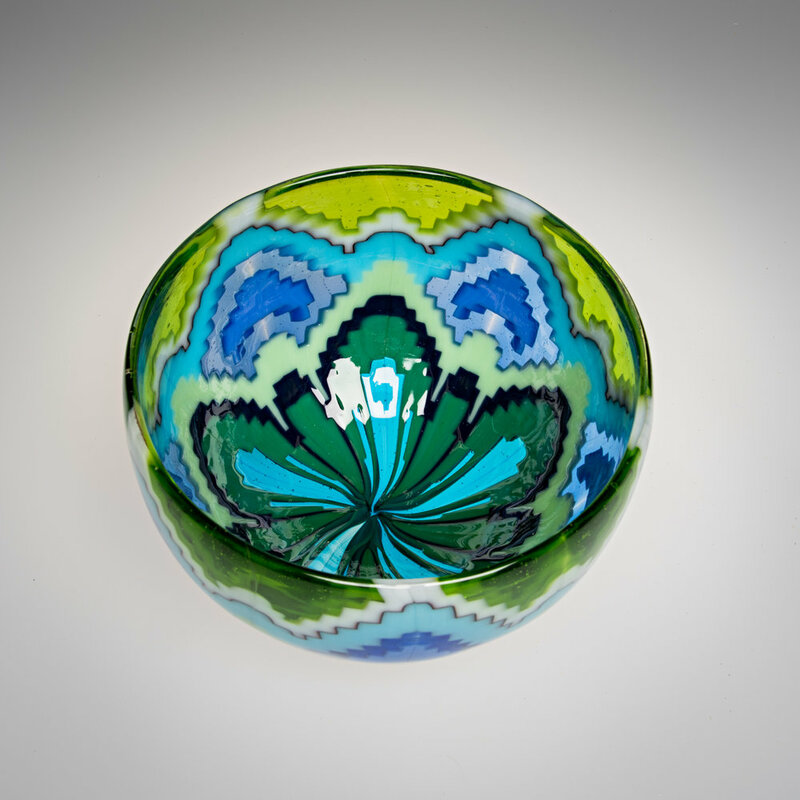 Amokura Glass is the only hot glass studio & glass art gallery in Rotorua. Run by artist Heather Kremen, the studio aims to create beautiful works of glass art while putting on a show for visitors. There are live glass blowing demonstrations four days a week after 12:30 (Friday to Monday), so you can watch as she creates art from molten glass right before your eyes! With over 10 years of experience, Heather deftly shapes molten glass using variety of techniques, including blowing, casting, fusing, and carving. Moving back to New Zealand to run her own studio, she brings influence of her years abroad in the USA and Japan to her work. Each piece in the art gallery is hand crafted on site, ranging from high end sculptures to beautiful gifts and souvenirs. This also includes home décor objects, which are practical as well as decorative and designed for everyday use. Heather's work mainly focuses on simple, elegant forms designed to showcase the beauty of the material and the complex colour designs. You’ll find a range of handmade glass art for sale in our gallery. Each piece is one of a kind, taking time, skill and love to create. Whatever you’re looking for, we’re bound to have something for you! 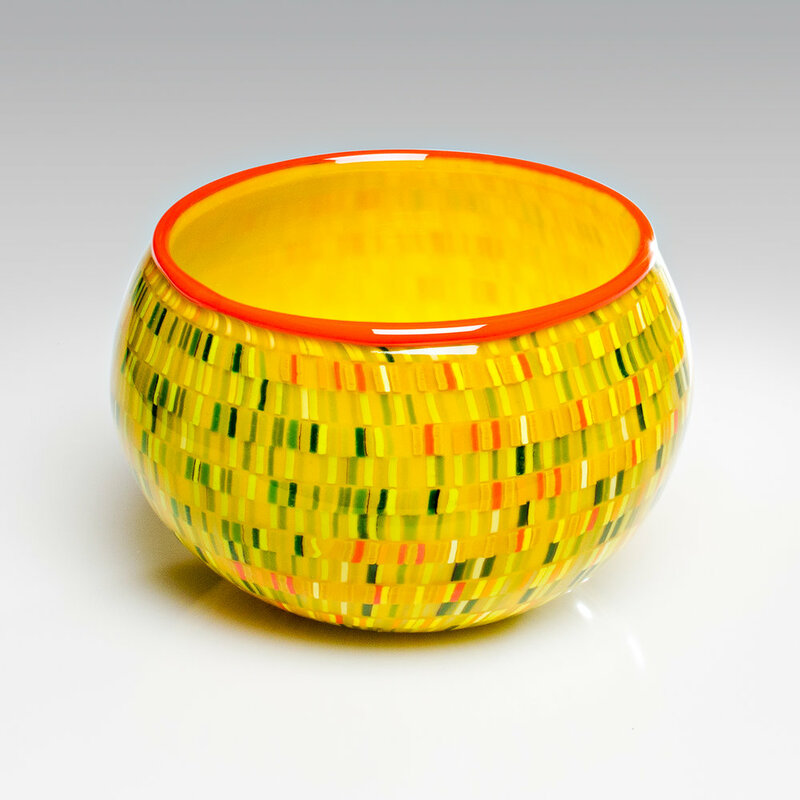 Heather creates stunning glass show pieces that are perfect for your home. Each figure tells its own story, myth or legend, inspired from around the world. Whether it be a special wedding present, birthday gift or a simple thank you, we’re sure to have the perfect piece that will last a lifetime. A unique way to remember your travels to our beautiful land, we have kiwis and other birds, paperweights, flowers and more. Each one is totally unique and crafted in solid glass, meaning they are strong enough to travel with you wherever you go. These are glass vessels that have been formed from small sheets of glass to recreate the woven texture of tapestries and rugs. Each one tells the tale of lands visited and stories long forgotten. If you’ve got something special in mind, we might just be able to create it for you. Orders for customised art pieces are welcomed, simply come in and talk to the artist to discuss logistics. Bear in mind, custom projects are made with care and precision, so will take time. At least 24 hours are required to complete smaller works, while larger projects may take anywhere from a few days to several weeks. Every afternoon from Friday to Monday, Amokura Glass gives you the chance to watch live glass blowing demonstrations where art is created right before your eyes! This is also a great opportunity to meet the artist herself and get some insights into how each piece is made. Witnessing a glass blowing demo is one of the most unique and fascinating things to do in Rotorua, especially on a rainy day!